It is the time of year when the mornings are dark still when you leave for work. So, the clocks go back an hour. They actually go back this Sunday morning, October 30th, at 2am. This is our time reverting back to Greenwich Mean Time (GMT), and is most people's way of saying that's officially the end of summer. So when the clocks go back we are officially heading into hibernation. When you think that on 21st June we get a lovely 16 hours and 50 minutes of sunlight, but only 7 hours and 40 minutes on 21st December - bit depressing really. We wrote a blog piece before about William Willett and his idea of British Summer Time. We are no nearer at all to abolishing Daylight Savings, even though a recent YouGov poll found that 53% supported moving time forward permanently for an hour, 32 % opposed it. The Scottish are particularly against the idea, for very obvious reasons. 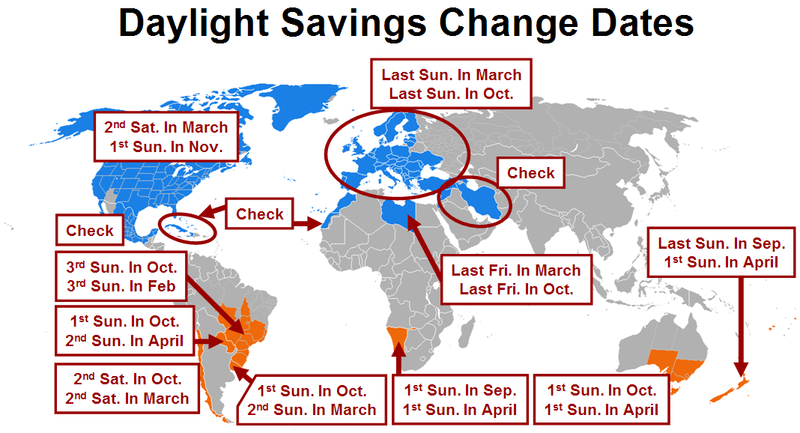 We are not the only country to use Daylight savings. The map shows how it is done all around the world. One final thought is the staff of the Royal collection. It takes them over 50 hours to adjust over 1000 clocks spread across the Royal Estate. 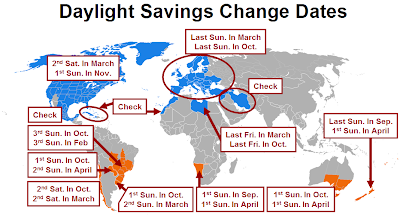 They have to get up early in the morning and make sure all of the clocks are accurate. Of course, being a direct debit bureau, we use computers to collect your money etc. so you don't need to worry about whether your money is being collected on time.